A family would enjoy playing games or have fun while sipping a cup of tea sitting on their deck but there is much patience and work which has gone to construct the deck accurately. Deck builders put in a lot of effort to build decks. Earlier with limited tools and machines the job was difficult but modern times have rolled out hundreds of devices which are packed with useful features. They are fast, accurate, require lesser people to execute them and cost less. Presence of a range of lasers in the market to build decks but narrowing down your search results is difficult. 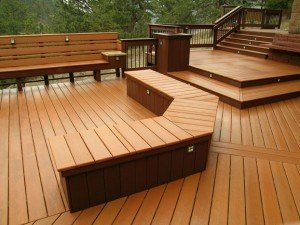 The lasers could make it impossible for you to locate them in day light and a laser detector or a receiver is a deck builders friend as most of the work is done out. Detectors can easily locate the beams. There are different aspects which should be considered while buying a laser level for deck building some of which are plumb lines, level lines, cases, detectors, power supply, squaring corners, pendulum lock, range, accuracy, out of level sensor, mounting and size. None of the devices could be perfect, however there are a few which help you in accomplishing your task successfully. 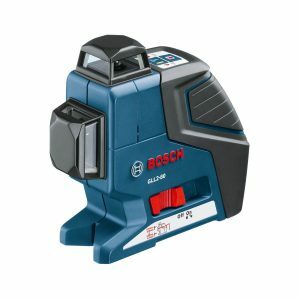 Here are some of the deck building laser level reviews which will help you in deciding to select the deck building laser level. With Dewalt DW088K you can finish any type of complicated job with accuracy in less time. This is a self-levelling deck building laser which emits both vertical and horizontal lines and gives accurate readings for long distances too. Let us take a quick look at some of the features of this device. 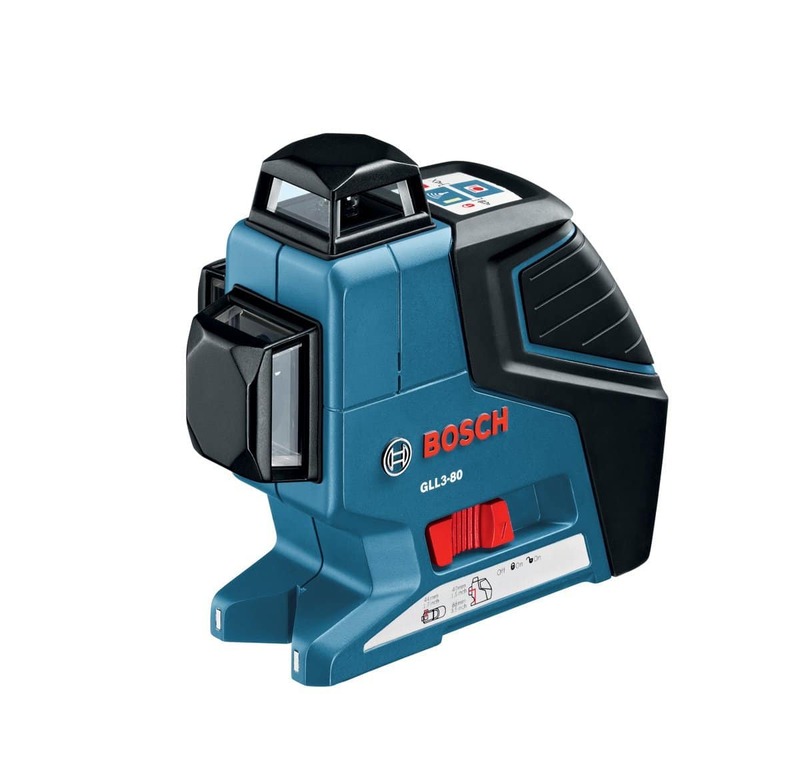 The visibility of the deck laser is 50 feet with accurate results of 1/8” upto 30 feet. 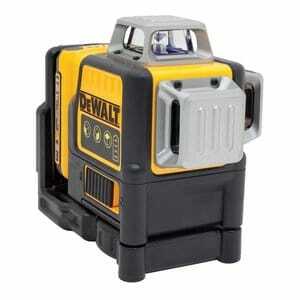 Dewalt DW088K self-levels within 5° and can be easily operated with one click of button. 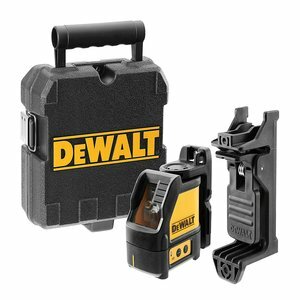 You will not have to worry about any clumsy chalk lines or any type of calculations; Dewalt DW088K will do everything for you. The device has an over-molded housing which helps in maintaining calibration under rough job conditions. The robust kit box safeguards the laser in between the uses. 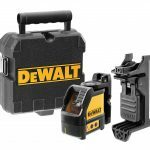 Dewalt offers a year’s free service and promises to return you your money within 90 days if you don’t find the device upto the mark. There is also a three year warranty. PLS 180 is wonderful for outdoor projects such as deck building. The device emits 180° continuous vertical and horizontal line laser which has a vertical and horizontal layout. It emits a green beam which is completely visible in broad daylight as red lasers cannot be seen in light. It is accurate, fast and handy which is wonderful to use. 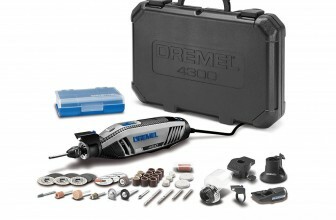 You can use the tool for 30 hours with 3 AA batteries. Even with machines such as generators and compressors working around PLS 180 stays steady and gives accurate readings. Green beam which can be located in any type of lighting conditions. Company offers a three year warranty which ensures its reliability. The measurements read accurate upto 30 feet + or – 1/8”. 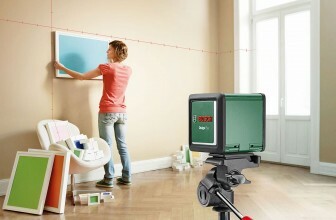 The Bosch laser level GLL 2-80 is perfect for a deck building job. The device has been designed to be a perfect balance between an expensive tool and a simple one. Instead of depending on rotating laser on creating a 360° vertical or horizontal line the device emits a laser on the tip of a mirror which is cone shaped and placed inside. 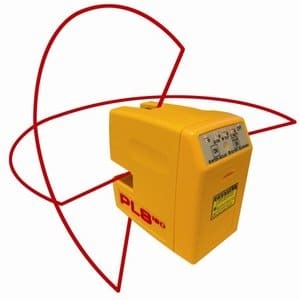 If used with LR2 laser detector it can detect up to 265 feet even in bright light. Automated self-levelling and 90° vertical and horizontal red laser outline lines. 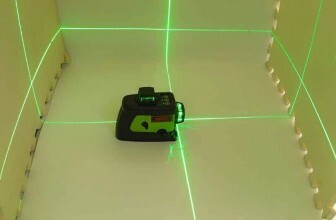 Lasers have serving in construction sites for sometimes now and there are several which have managed to make their place in the builder’s level reviews. 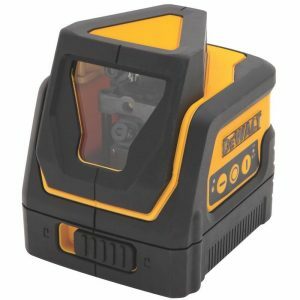 Precision is what is required while doing any form of construction and Dewalt seems to perfect their lasers with this feature. The Dewalt laser level DW0811 is an amalgamation of awesome features and settings which one can find in the laser level deck building. The vertical and horizontal settings can be mix and matched to generate a cross hair line. The tool is extremely accurate and save a lot of time. The device is capable of generating three self-levelling beams to 165 feet which can be easily detected using a receiver which is great feature for deck builders and contractors who remodel homes. The laser pendulum is safe as there is a lock which can be secured while it is being moved or stored while not in use. The tool can be easily mounted on a tripod or base or a plain surface and a knob which can be used to control the height to 2 to 1/4”. This tool from Dewalt can run on 3 AAA batteries. The accuracy of the device is + or – 5/32 inch up to 100 feet in range. The above are all perfect builders level and will definitely make your work easier. 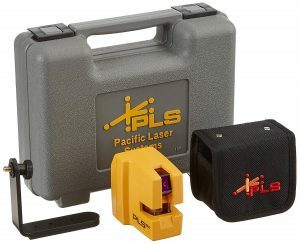 You can easily purchase these laser levels from various online stores and to ensure that you are taking the best laser level you could go through the laser level reviews for deck building to ensure that you are investing in the top one.